Fall colors, flavors, and festivals are an annual tradition in the Roanoke Valley in Virginia’s Blue Ridge! Your fall getaway to the Blue Ridge Mountains can include hay rides, pumpkin picking, grape stomping, haunted houses, and more. It’s all on the calendar. Take in the beauty of 20 acres filled with black oil sunflowers at the Beaver Dam Farm in Botetourt County. Peruse handmade crafts and goods from over 400 vendors at what has grown to become one of Virginia’s premier arts & craft shows. Cheer on the Hokies at Lane Stadium as the program looks to claim its second straight ACC Coastal Division Championship and potentially earn a spot in the College Football Playoff. Celebrate the rich agricultural history and heritage of Franklin County with four days of family-friendly fun that will include tractor competitions, exhibits, live music, rides, and livestock shows. One of the tastiest annual events in Virginia’s Blue Ridge returns for its 12th year as visitors will line up for authentic Greek foods, including gyros, moussaka, baklava and other delicacies. Spend a Blue Ridge Day experiencing African American heritage at the Henry Street Festival, which will feature delicious food, merchandise, great live music and more. This year marks the 40th annual Boones Mill Apple Festival and the charming Town of Boones Mill will be full of fun activities, music, games and various apple products to commemorate the occasion. Who says you have to go to Germany to celebrate Oktoberfest?! Soaring Ridge Craft Brewers presents its own Oktoberfest with lots of great fall brews, food from 2Dye4Que and performances by multiple bands. 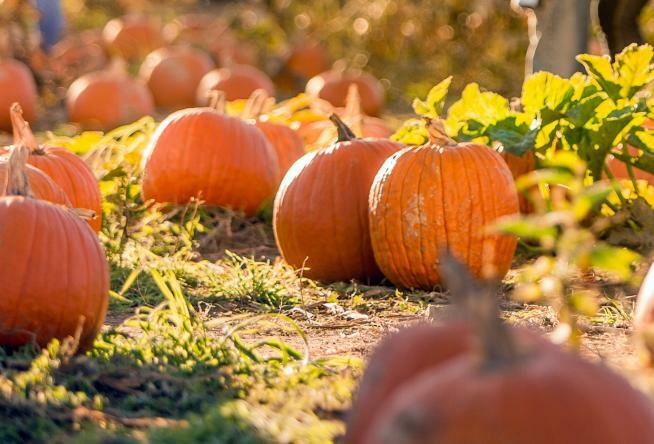 Layman Family Farms presents farmtastic fun for the entire family every autumn with its popular corn maze, pumpkin patch, hay rides, and other great seasonal activities. Open on weekends only. 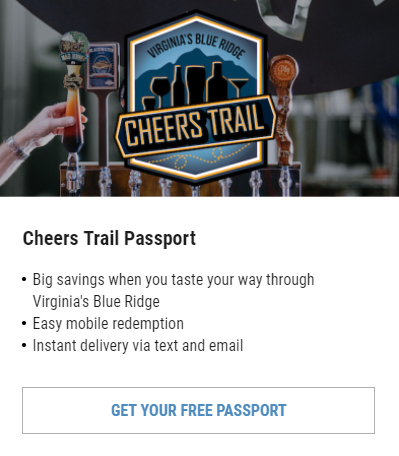 Cheers to the beautiful views of Smith Mountain Lake and a variety of wines from 29 different Virginia wineries and vineyards serving at this popular annual festival that’s celebrating its 29th anniversary. The kids will love spending a day at the ballpark with the Salem Red Sox for their annual fall festival, which features live music, character appearances, games, facepainting, and more as the event benefits Katie’s Place, a local non-profit. Get ready for a messy good time at Beliveau Estate Winery as you take part in some old-fashioned grape stomping and play a part in creating local wine! See if you have enough courage to make your way through this terrifying haunted house that will make you feel like you’re participating in your own horror movie. The Vinton Farmers Market will be the spot for an evening of delicious food from local food trucks and live music for an event where all proceeds will benefit Feeding America Southwest Virginia. Professional cyclists from around the country will be competing for $10,000 in prizes over two days of thrilling cyclocross racing at Fallon Park in Virginia’s Blue Ridge. Find an abundance of fresh, fall produce and enjoy other autumn activities as the Historic Roanoke City Market in Downtown Roanoke celebrates the arrival of fall. It’s a full day of fun on the farm when you make your way to the Jeter Farm Fall Festival and Country Store, which features locally-made products, farm animals, a corn maze, and other unique farm activities. Experience the magic of the Town of Buchanan at this annual festival that’s become a local favorite with its showcase of bluegrass music, antiques, crafts, and great food. It’s a world of everything pumpkin at the Great Pumpkin Smash at Dr Pepper Park! Treat yourself to pumpkin foods, pumpkin beer, pumpkin spice lattes, pumpkin pie candles, carved pumpkins and other pumpkin specialties. Named “Best Festival” by Blue Ridge Outdoors Magazine, the Anthem GO Outside Festival has grown to become one of the premier outdoor festivals in the Mid-Atlantic with three action-packed days of outdoor activities, gear, races, live music, great food & beer, and much more. Find all kinds of great treasures as artists and craftspeople from across the nation will have products on display for this 3-day event at Berglund Center, with options suiting a variety of styles and budgets. There will be live entertainment on two stages and more than 100 craft and food vendors are scheduled to participate in this year’s Vinton Fall Festival, which has become an annual autumn tradition. Bring your pup along for a walk at the beautiful grounds of the Peaks of Otter Winery & Orchards at this annual event that’s sponsored by the Bedford County Animal Shelter. You’ll be able to vote for your favorite pumpkin carving design while the kids enjoy carnival games, inflatables, trick-or-treating, and a costume contest! Our friends at Mill Mountain Zoo present howling Halloween fun for the entire family as Zoo Boo features trick-or-treating, art activities, performances, plus the chance to see all the great animals at the zoo! See the work of various artists with this self-guided driving tour of Botetourt County, where you’ll have the opportunity to learn about the stories and process behind the artwork, as well as purchase some of the pieces. Cast your vote for who should take home the title of the “People’s Choice” award for the best chili and also find some great crafts as perfect holiday gifts at the Smith Mountain Lake Chili & Craft Festival at Bridgewater Plaza. Thomas Jefferson had a love of wine and vineyards, which is celebrated at this 9th annual wine festival at his secluded Poplar Forest retreat in Bedford County. Prepare for a night of great beer and laughs as you sample a variety of craft beers and ciders and are entertained by stand-up comedians. 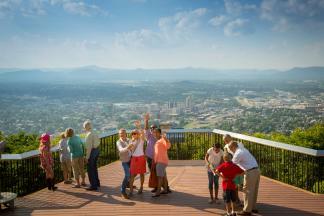 Roanoke’s biggest annual family reunion returns for its 12th year! Join over 12,000 runners and walkers who kick off Thanksgiving Day with this morning 5K through Downtown Roanoke that benefits the Roanoke Rescue Mission. Visit our Calendar for a complete list of upcoming events in Virginia’s Blue Ridge, and take a look at our Fall section for more resources to help you plan your autumn getaway. You can also stay in the know by subscribing to our monthly e-newsletter and following us on social media.